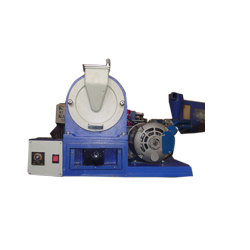 Leading Exporter of rice husker, seed/ grain counter, seed blower, aspirator (lab model) bates type, seed germinator and seed divider boerner type from Ambala. 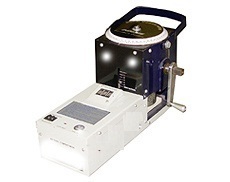 Seed blower makes the separation by accurately controlling the upward air flow through a transparent plastic olumn for purity testing, docking and cleaning of the grain/seed samples. Time can be controlled either by means of a timer or manually. The air flow can be precisely controlled to obtain even the most difficult sensitive air separations. Column are built to trap light weight seed and chaff, only pure seed remains at the bottom of the column. It has a wire mesh bottom to prevent seed from falling into the fan. All the controls are mounted on the top panel including the timer for easy access. 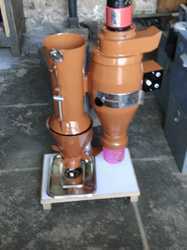 It has three sizes of columns for covering the entire range of seeds/grains. 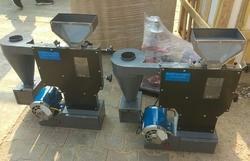 Balanced suitable blower sizes of columns for covering the entire range of seeds/grains. Balanced suitable blower sizes of columns for covering the entire range of seeds/grains. Balanced suitable blower fitted on the table, fitted with caster wheels for portability. To work on 220/230 volts 50 cycles ac only. small tube set; recomended for brome, red top, blue grass, legumes, small cereal grains etc. large tube set: recommended for large capacities and for grain, grasses, legumes, corn, soyabean. 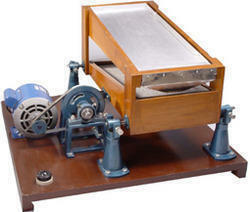 APPLICATIONS Seed Grain Divider Boerner Type in mainly used for local grain inspection. Used for dividing seed sample into two equal halves.WORKING PRINCIPLE The Boerner divider is operated mechanically & on gravity principle Sample placed in the hopper and released by moving a slide gate under the hopper. The grains evenly dispersed over a cone, which has 38 pockets. After initial separation, the grains rejoined into two cones, which release out of thebottom hopper. Two Brass sample pans for easy transport of divided samples.ADVANTAGES The Boerner is calibrated of +/- 1% on a 1000g samples The Boerner divider is made from brass, which is rust resistant The legs and supports are made of M.S. duly Powder Coated Supplied complete with two brass pans. 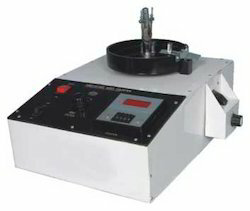 specification:it is used for testing rice samples for milling quality grading colour and style at lowcost. 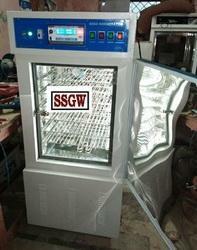 Electrically operated to work on 220 volts ac provided with a timer. Power : ¼ hpsingle phase size : 380x230x290 mm approx (l x b x h). 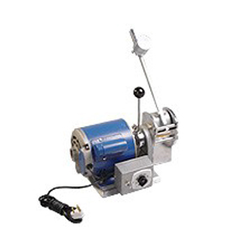 specification:principle : centrifugal action. Size : 380 x 310 x510 mm (approx). Disc : rotating neoprene disc. Body parts material : hopper, wear parts - plated brass, cylinder housing - stainless steel. Base : painted cast iron. Leveling : through 3 no. Of screws at base and a level indicator. Suitability : for seeds and grain even with awan, beard and glumestop lift-off : hopper and cylinder top lift-off for easy access to inner parts for cleaning. Hopper capacity : 2 kg. Motor : 1/10 hp. Operating voltage : 220 v, 50 hz, ac. Looking for “RICE TESTING LABORATORY”?